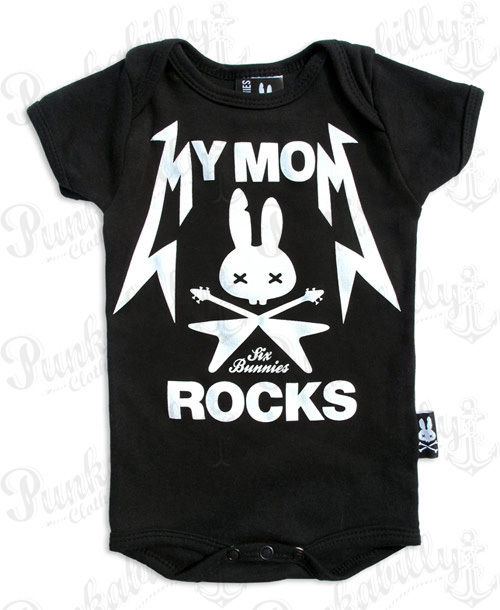 Lucky me for having a little bundle of joy like you! 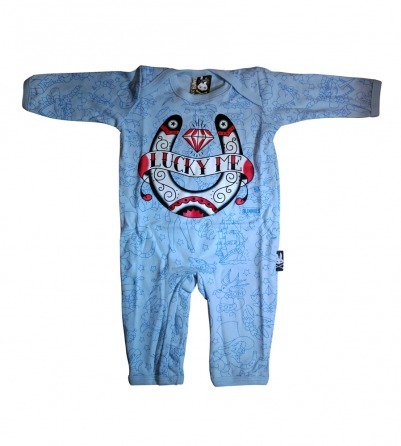 That's what you'll be thinking when you wrap your little one in this comfortable Blue "Lucky Me" Baby Onesie. 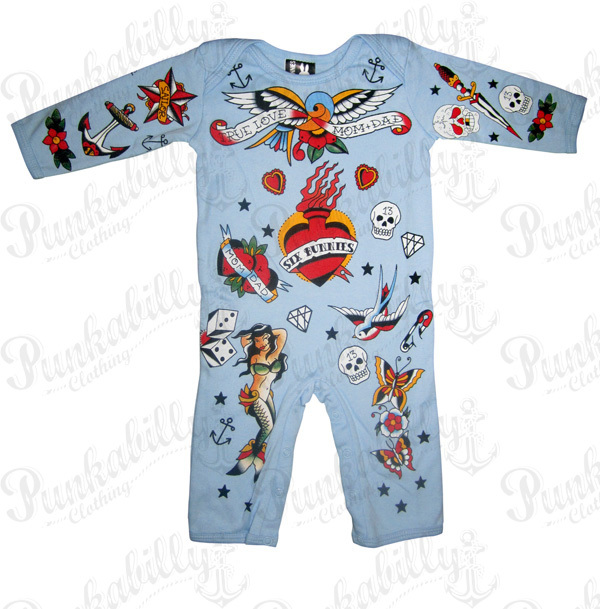 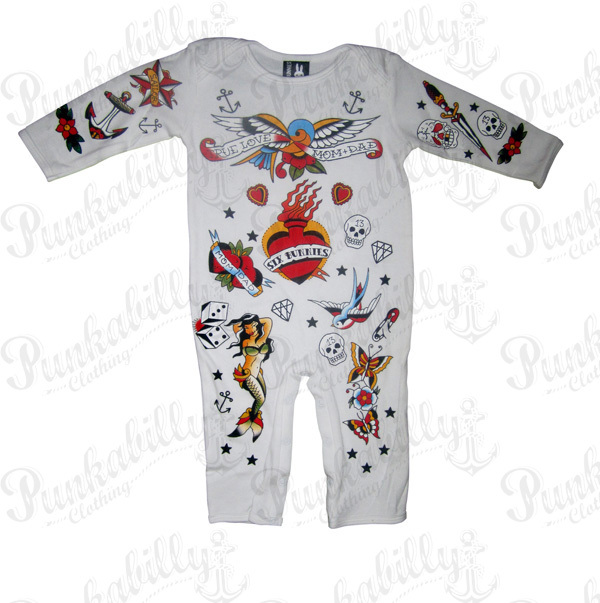 Made with cotton, your little one is going to feel comfortable and punk rock chic in this rockabilly design.